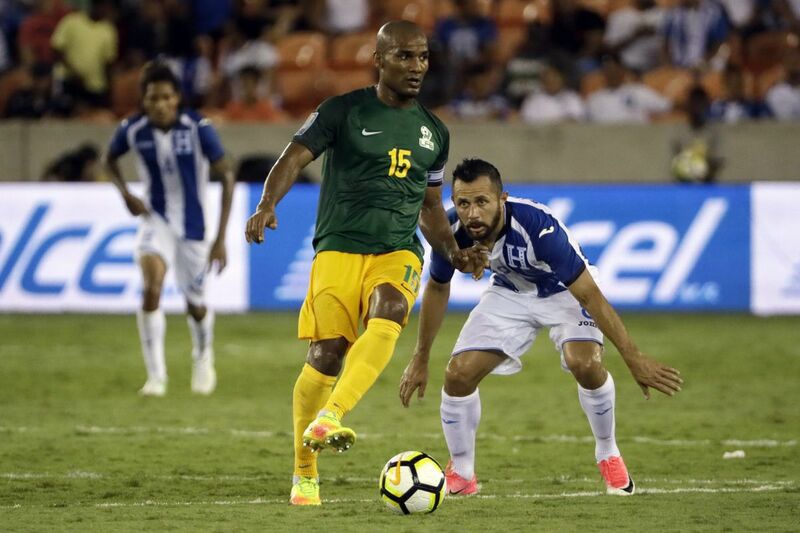 Former Chelsea star Florent Malouda took the field in French Guiana’s CONCACAF Gold Cup against Honduras, despite being an ineligible player. It was a protest against FIFA’s treatment of the French overseas territory. If you didn't get to watch Tuesday's CONCACAF Gold Cup games, you missed quite a bit of drama. Forget about the lack of goals for a moment, because there was a huge story here. French Guiana deliberately played an ineligible player as a protest against CONCACAF bureaucrats' apparent mishandling of the roster rules. The player is Florent Malouda, whom you might have heard of from his playing career in Europe. Malouda was a big-time prospect at French club Lyon from 2003 to 2007, then moved to English powerhouse Chelsea and stayed there until 2013. His trophy case includes four French league titles, three English FA Cups, a Premier League title and a Champions League title. He also has 80 caps for France, and nine goals. That last part is where things get tricky. French Guiana is officially an overseas territory of the French government – sort of akin to what Puerto Rico is for the United States, except with voting rights in the French political system. While it is its own entity in CONCACAF, it is not its own nation in FIFA (which Puerto Rico is, as are many other nations' overseas territories). That means French Guiana can't compete in World Cup qualifying, but it can play in regional competitions in the Caribbean, including the Caribbean Cup tournament that is a qualifying event for the Gold Cup. Well, the team did just that over the last year and change. CONCACAF and the Caribbean Football Union (a sub-unit of the regional confederation) allowed French Guiana to compete in the most recent cycle of Caribbean Cup qualifying. So the team did, starting in January 2016 with the first of three qualifying rounds. In the first round, it topped a group that also included Bermuda and Cuba. In the second round, it finished second behind the Dominican Republic but ahead of Bermuda, which was enough to reach the third round. They it topped a group with Haiti and St. Kitts & Nevis, including a 5-2 win at Haiti. That made French Guiana one of four teams to qualify for the Caribbean Cup – and also qualified them team for this summer's Gold Cup. So, as French Guiana manager Jaïr Karam accurately pointed out after the nation's Gold Cup opener against Canada last Friday, the team got there on sporting merit. After that, though, the merit might have gotten a bit less sporting. Because Malouda had not played for France for five years, and because Guiana is not a FIFA member, he was able to play for Guiana. So Guiana petitioned the French federation to allow Malouda – who was born in the territory – to play for it in the Caribbean Cup. Karam said last Friday that the French federation allowed it. Malouda was on board, and so was his club team. That last part is no small thing. Because the Caribbean Cup isn't on the FIFA calendar, clubs aren't required to release their players for it. And because Guiana isn't a FIFA member, Malouda's club would have been doubly allowed to not let him go. But Malouda was allowed to go, so he went. And he went again for the Gold Cup. The Gold Cup is an official tournament on the FIFA calendar, and CONCACAF plays the tournament using FIFA's eligibility rules. As such, when Guiana listed Malouda on its tournament roster, CONCACAF should have blocked him right on the spot. That did not happen. Instead, CONCACAF said Guiana would forfeit any games in which Malouda played. "When you are in a legal battle to try to get Florent Malouda to play for us from the start, and when you are dealing with rules that can't compare to those for a FIFA nation, how could you prepare adequately [for the tournament]? It's impossible," Karam said Friday. "We are going to fight for our rights, because we aren't a FIFA nation. … There's clearly inconsistency. You can't ask us to play by the FIFA rules when we aren't a FIFA member." Malouda didn't play against Canada, but Karam threatened to pull the trigger for the game against Honduras. He not only did it, but he made Malouda the team's captain for the night, too. "We take our responsibility," Karam said. "We were pressured with fines, a potential suspension, losing points. … We didn't have an answer from FIFA, and we weren't fully sure of how to make our legal argument. We made the decision from within — I didn't want to take the risk. Now that we're sure about our legal situation, we've decided to go fight, and it's a fight we're going to win." After the Canada game, Karam noted that back in 2007, Guadeloupe – another French overseas territory – made the Gold Cup. Jocelyn Angloma played for the team under the same five-year rule that Malouda used to play for French Guiana. CONCACAF didn't do anything about that during the tournament, and Guadeloupe made a Cinderella run to the semifinals. Which means that not only did CONCACAF not block French Guiana from having Malouda on its roster, but the governing body also had a decade to establish a clear message that this sort of thing wouldn't be allowed. "The rules of FIFA are clear," Karam said. "When you aren't an official member, when you're just an associate, you have – we have – the right to select players whose parents were born in Guiana, or players who are originally from or born in the territory. There are many legal precedents for this." After the Honduras game, Karam added the precedent of Kosovo, which became a FIFA member last year, and got permission from FIFA to call in players who had previously played for Serbia. "What we're asking for, simply, is to have the same rights as the rest of the world. Either we're completely in FIFA, and as such, we would have permission to get players from professional clubs [without the clubs being able to block it; or we aren't in FIFA, and that allows us to use former players from our related national teams." CONCACAF said in a statement that its disciplinary committee "will review the case and render its decision in due time." If, as is likely, the game is ruled a forfeit, the official score will be a 3-0 Honduras win. Malouda spoke briefly with ESPN after the game. He said: "It was very emotional for me. I've waited for a long time for the approval to be able to play, and it's a great honor for me to wear the [jersey] and represnt French Guiana at this level in competition." Until the result is officially changed, Karam is relishing his and his players' time in the spotlight. "I'm proud of my players tonight, because I think we very much deserved this [result]," he said. "Tonight, let's savor this second game. Afterward, we'll deal with things when they come." Read more of what Karam had to say here. While it was a celebratory night for French Guiana, it was quite the opposite for Honduras. Los Catrachos have now gone all 180 minutes (plus stoppage time) of the tournament so far without scoring a single goal. They don't lack for attacking firepower, thanks to the forward duo of Romell Quioto and Alberth Elis. But they haven't found the net yet, and it was especially glaring in this game – not just because of the opponent, but also because Quioto and Elis were playing in the home of their club team, Major League Soccer's Houston Dynamo. Honduras now has to beat Canada in the group stage finale. They came into the tournament as a potential, and perhaps even likely, contender for a run to the semifinals. Now they are on the verge of quite a crash. 26′: Alphonso Davies scored his third goal of the tournament with a great run off the ball and a classy finish. The 16-year-old Vancouver Whitecaps starlet is the player of the tournament so far. 41′: Costa Rica simply had too much talent to be kept at bay all night. They knocked and knocked, and finally busted through the door late in the first half.